One picture is said to be worth a thousand words, but Instagram pictures have proven to be worth much more. One billion dollars’ worth to be exact, as this is the price that Facebook paid for the photo app in April 2012. And why not, considering all the big numbers that this photo sharing application has been associated with. Within twenty four hours of its launch, it topped the app store and in no time at all it was the App of the week for iPhone. In less than three months, there had been more than one million downloads of this popular photo sharing application. By March of 2012, it has amassed more than twenty five million users. With such a huge fan base, one has to wonder, why Instagram is so addictive. There are various reasons why this is the case. The first one is obviously the power that a picture has. It has been rightly said that the pen is mightier than the sword, but the camera definitely runs the town. Picture updates give more information about what someone is up to, and it is easier to share information with friends and family through pictures than through words. The second reason why Instagram is so addictive is the fact that this application enables people to be creative. Instagram allows people to manipulate simple photographs and give them an interesting look with the help of its filters. These applications allow people to run wild with their imaginations as it presents them with endless possibilities. The third reason why it is so addictive is that, apart from being a phone application, Instagram is also a social networking site which allows people to know what their friends are doing by ‘following’ them. Any photo that a user uploads shows up in the stream of every user who follows them. There are so many other ways of expressing oneself with Instagram, for example, one can comment on a photograph, or even show appreciation for it by ‘liking’ it. The fourth reason is that in the Instaworld, fun and delight make an entrance and seriousness takes a hike. Individuals can post pictures of anything, from their socks to the funny sign-post outside their school. They can edit it so that it tickles their fancy and post their work of art for the world to see. This social media network gives its users a lot of freedom and because of this, individual expression is at its highest. When it comes to storytelling, pictures are at a league that texts can never reach. After a month of using Instagram, you will have expressed your story in a way that would have been difficult to express with words. Looking back at all the things that have happened and that have been immortalized in pictures, you will definitely smile at the things that caught the lens of your eye and that of your camera. 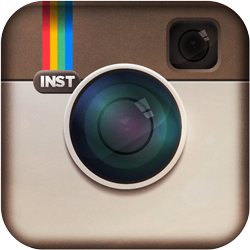 However, what has helped to create a legion of Instagram aficionados is the fact that this application is simple. A user can simply take a picture on an iOS phone (and more recently, Android phones as well) and edit it using the many filters. Very little effort is required with this application, and there is no limit to how creative the user can be. It is much easier to use Instagram than complex digital cameras, and much simpler to use than complex photo editing software. Instagram has been accused of helping to create pictures that swerve the viewer’s attention away from reality. The filters and blur can make an ordinary picture appear extraordinary, and they can reveal an intrinsic beauty that would otherwise not be seen if the picture was left unedited. Unlike other social networking websites and phone applications, Instagram allows people to be intimate with close friends and family without saying much. It also allows people to gain access into the world of friends and family in a way that would have been impossible otherwise. Instagram offers its users immediacy, meaning that a person can instantly share an interesting picture with a direct audience. The audience is even larger considering that Instagram can allow you to share photographs with friends in other social media websites such as Facebook. It is these characteristics of Instagram that have made it such a popular and addictive application among its users.